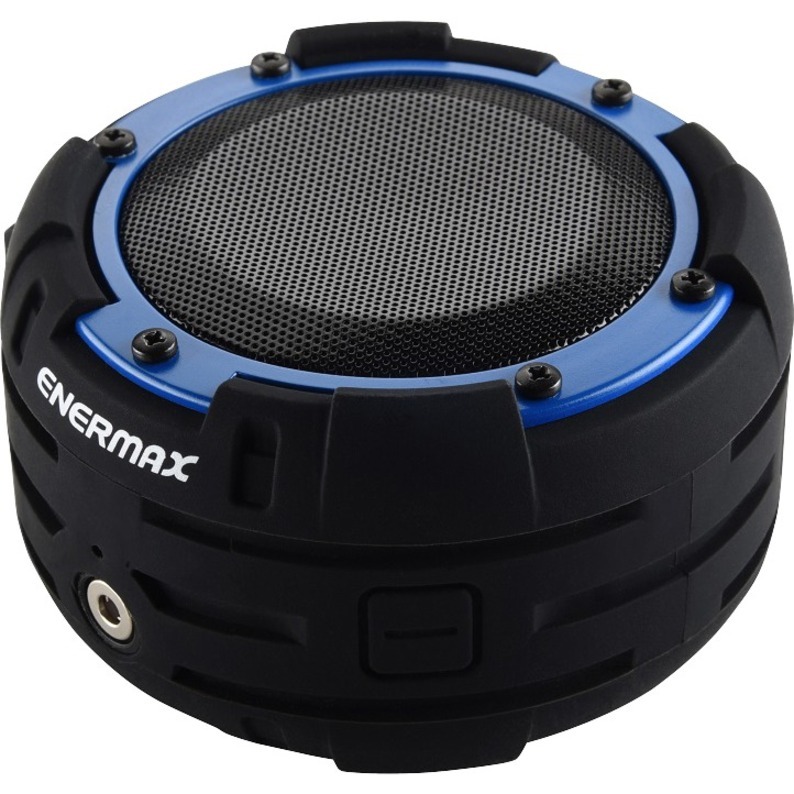 O'marine is ENERMAX 1st outdoor BLUETOOTH speaker achieving IPX8 waterproof rating. O'marine is not just splash proof, but completely waterproof that it can still operate under water. The grab-and-go size and durable rubberized casing design make O'marine an excellent companion to take on outdoor adventures. Featuring top-notch waterproof capabilities, O'marine is certified to withstand water immersion up to 3 meters (10 feet) deep for 2 hours. O'marine is the perfect portable speaker for water sport lovers. Harnessing ENERMAX DreamBass technology, O'marine is built with a powerful 5W speaker to deliver loud, high-definition sound. The durable rubberized casing makes O'marine resistant to shock and scratches. The grab-and-go size also makes O'marine easy to carry arround. O'marine is built with a Li-Po battery, which enables you to enjoy non-stop music fun throughout the day. The battery is rechargeable via a USB port; the charging cable is also included. O'marine provides wireless BLUETOOTH 4.0 connectivity with high-quality music streaming. The wireless range can reach up to 100 feet (30 meters). O'marine is compatible with Android, iOS, Windows smartphones or tablet devices. O'marine is equipped with a 3.5mm aux input jack for line-in music play. The audio cable is included for you to enjoy your favorite music from any audio sources.